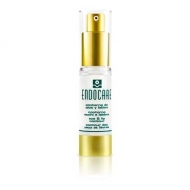 DESCRIPTION: Cellage Anti-Wrinkles Gel Cream from Endocare is a facial anti aging care. 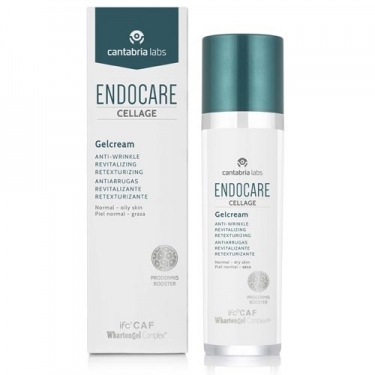 Formulated with three patented technologies, IFC-CAF, the RetinSphere and complex Wharton gel, stimulates cell regeneration, fills wrinkles and restores skin density while nourishes and moisturizes in depth for a sense of comfort all day. Designed for normal to combination skin, it has a light texture, fresh and nutritious. Tested under dermatological control. Non-comedogenic and without parabens. Apply in the morning and/or in the evening on clean face, neck and cleavage. Massage gently until completely absorbed. It is natural to feel a sense of flushing after application.